State intervention in the Venezuelan economy and private industry has been increasing during the past 19 years, and has intensified in recent times. This intervention has affected many industries and has had a variety of consequences, such as the number of businesses decreasing, offices and retail shops closing, and companies reducing the number of employees or branches. Further proof of the government’s intervention in the Venezuelan economy is that the banking industry is obliged to grant loans to five particular industries on more beneficial terms than for any other sectors or industries. Those five industries are agriculture (up to 25 per cent of the credit portfolio); mortgages (up to 20 per cent); tourism (up to 4.24 per cent); manufacturing (up to 10 per cent); and microloans (up to 3 per cent). The loan portfolio of a bank should account for no more than 62.24 per cent of its entire portfolio. The Venezuelan banking industry has become highly regulated during the past few years. The financial system is regulated by one superior organic law and three specialised organic laws. There are two further bodies that have a role in the regulatory regime: the Fondo de Protección Social de los Depósitos Bancarios (FOGADE),6 which is responsible for the protection of consumers, and the Central Bank of Venezuela (BCV), which controls and fixes rates. The banking industry is currently regulated by more than 20 laws and numerous resolutions, circulars (administrative acts) and prudential regulations, which have been enacted by the Superintendence.11 The main law is the Banking Sector Institutions’ Decree-Law (the Banking Law). take any action it may consider necessary to safeguard the interests of users and the public in general. consulting on and interpretation of legislation. Banking institutions are bound by the Banking Law to make public their financial statements (1) on the banking entity’s own website, and (2) in a national newspaper, within 15 days of the close of business at the end of each month, quarter and half year. Moreover, financial entities must submit a general balance sheet and performance indicators to the Superintendence, monthly, quarterly and semi-annually. Under the Banking Law, the Superintendence also has significant powers to control private banking in Venezuela; the legal system has broad and open provisions that allow the Superintendence to carry out unannounced inspections and sanctions. Among other conditions that must be met are that the members of the board of directors must have experience in economic and financial activities, and that the board must be comprised of not less than seven members, at least half of whom must be resident in the national territory. However, there is no provision in the Banking Law as to how a banking entity should decide on what constitutes a quorum when its board has an odd number of members or when it has an even number of members: provisions for such matters are established by by-laws. acting in accordance with the provisions of the laws and by-laws. has been deprived of his or her legal capacities. The Banking Law also establishes that the banking industry must have both an internal auditor and an external auditor. Regarding restrictions on bonus payments, the current regulation does not establish any provisions regarding the salary or semi-annual bonus payments to an entity’s president, vice president, members of its board of directors, managers and legal advisers, or a family member up to the fourth degree of consanguinity, to an amount that exceeds 20 per cent of employee expenses. The Banking Law currently sets a minimum level of share capital, depending on the type of banking entity or place of incorporation.19 The Superintendence, with the prior binding opinion of the OSFIN,20 will periodically evaluate the minimum share capital requirements, making modifications as necessary. The Banking Law requires banking institutions to allocate not less than 50 per cent of their share capital to the legal reserve. To achieve this amount, institutions must transfer not less than 20 per cent of their profits, after tax, semi-annually to the reserve. A bank’s liquidity is defined by the Superintendence as part of its administration. Resolution No. 136.03 (abrogated by No. 136.15) established the creation of risk administration units, which are in charge of grading the risk banking institutions are facing. Every institution must have a risk administration unit. The complex procedure consists of an intervention regime in which the Superintendence takes over the administration of a failing entity and its shareholders’ powers, either to recover the entity or to dissolve it. It is an entirely administrative process, which excludes, or even suspends, any judicial action. when administrative actions are insufficient to recover or dissolve the bank. In order for an intervention to commence, the Superintendence, in exercising its power during a normal annual inspection, will send notification to the entity of its observations and recommendations for action the entity should take, according to the particular situation. In response, the entity will present a regularisation programme.32 After the required administrative measures have been enforced (such as repaying capital, selling equity, prohibiting payment of dividends),33 the entity must present a recovery programme34 within 10 business days; the Superintendence will approve or reject the plan within the next 15 business days. If the recovery plan is (1) not approved, (2) not presented, or (3) not complied with, or (4) the financial entity does not carry out all the required administrative measures, the Superintendence will enforce an extraordinary transfer mechanism or intervention, as appropriate. The Superintendent will then issue an edict declaring the intervention and appointing an administrator or board of administrators, which will have similar powers to the shareholders and board of directors35 and will report to the Superintendence, FOGADE and the BCV. For the intervention to proceed, the president of the institution in question will be summoned to a private meeting.36 The intervention process can last up to 90 days, with a maximum additional 90 days, if deemed necessary. Within 60 days of publication in the Official Gazette of the decision regarding intervention, the administrator or board of administrators will issue and present to the Superintendence a report recommending either the dissolution or recovery of the financial entity.37 If the Superintendence decides that the bank should be dissolved, it must, within the next 10 business days, follow the dissolution process established in the Banking Law, which is overseen by FOGADE. The banking industry is supervised by a general organic law (the OSFIN) and a specific orgnisation (the Superintendence), which together have the authority to supervise, control and rule businesses, and impose sanctions if any regulations have not been followed. The sanctions established in the Banking Law range from warnings (recommendations) to fines (calculated on the basis of the share capital or the crime), or even the imprisonment of directors, managers, internal auditors, external auditors, or legal or other advisers (if any aforementioned person is deemed responsible for an unauthorised activity by a financial institution). Banking entities, their directors or any of their employees are banned from sharing information about customers regarding active and passive operations, unless authorisation has been obtained in writing from the client or account holder. This obligation extends to the Superintendent and the employees of the Superintendence, directors and employees of the Venezuelan Central Bank, and the directors and employees of external audit companies.39 The Banking Law will consider granting an exception to the confidentiality requirements when the information is required for official purposes and by an official authority (such as the President, the Vice President or the President of the Congress). The banking industry is funded through financial intermediation. The activities of banking institutions consist of raising funds by any legitimate means and placing them in credits or investments in securities issued or guaranteed by national or state companies.40 Banks may receive deposits from the general public in bolivars. To receive deposits in any foreign currency, a special regulation must be followed, owing to the current foreign exchange control regulations in Venezuela (see Section VIII). To transfer shares in a banking institution, certain provisions of the Banking Law must be followed, depending on the characteristics of the transfer. The Law sets forth different obligations on the entities depending on (1) who is buying the share capital and (2) whether the bank’s shares are subscribed in a stock exchange. If the transfer is less than 10 per cent of the share capital or the controlling power in the shareholders’ meeting of the relevant banking entity, the Superintendence must be notified of the purchase, but it is not required to authorise it.41 The president of the banking institution must notify the Superintendence within five days of the purchase. If the acquisition exceeds 10 per cent of the share capital or the controlling power in the shareholders’ meeting of the relevant banking entity, authorisation from the Superintendence will be required,42 in line with the provisions of the Banking Law or the prudential regulation. If a purchase through a stock exchange exceeds 10 per cent of the share capital or controlling power in the shareholders’ meeting, or if the acquiring party holds 10 per cent or more of the share capital or the controlling power in the shareholders’ meeting, the purchase must be authorised by the Superintendence, after receiving the binding opinion of the OSFIN. If the acquiring party, whether an individual or one or more entities, all linked to the acquiring party, purchases 10 per cent of the share capital or controlling power in the shareholders’ meeting, the transaction requires authorisation by the Superintendence. In the case of acquisitions made by shareholders holding a percentage equal to or greater than 10 per cent, authorisation by the Superintendence will be required for each of them when those shareholders, individually or jointly, suggest a direct or indirect share purchase that is equal to or greater than 5 per cent of the share capital or the controlling power of the shareholders’ meeting. The Superintendence must authorise or reject the share purchase within six months. After the purchase is notified or approved by the Superintendence, the transfer must be registered in the Shareholders Book and in the Mercantile Registry (the administrative entity in charge of recording the legal position of companies and empowered to provide public access to companies’ activities). Under the Banking Law, it is strictly prohibited for a shareholder of any entity within the national financial system, who holds 20 per cent or more of the share capital or controlling power in the shareholders’ meeting, to become a shareholder of a banking institution, pursuant to the Superintendence’s prudential regulation and the binding opinion of the OSFIN. Financial groups are also strictly forbidden. A ‘financial group’ is understood to mean a compound entity comprising banks, non-banking entities, financial entities, or any other company that represents a decision-making or management unit. These capital share prohibitions (20 per cent or more, and financial groups) must be complied with by all individuals or entities, directly or indirectly, but are not applicable to public (state-owned) banking entities. The transfer of banking business in Venezuela is not subject to any specific regulation in the Banking Law, but the Commercial Code establishes that approval by a specified majority of a specified number of members of an entity must be obtained prior to the sale of all or part of that entity’s equity. In the 2018 edition of the World Bank Group’s Doing Business rankings, Venezuela fell by one place to 188th of the 190 listed countries, which is a further indication of a deterioration in the country’s economy. In February 2018, the currency was devalued by more than 86 per cent, from 4,146 bolivars to the euro to 30,987 bolivars to the euro. Owing to the economic crisis, banking entities increased their share capital twice or more during 2017, simply to comply with the minimum requirements for receiving deposits and giving credit. The scale of electronic banking in Venezuela has risen through the years, becoming more and more popular with consumers. One of the top five banks in Venezuela reported in mid-2017 that 96 per cent of its transactions were through electronic channels (including wire transfer, ATM, point of sale, electronic activity on customer accounts and mobile apps, including granting loans on the internet). In the last quarter of 2017, the government issued an administrative ruling in which it established a reduction in value added tax on financial transactions by electronic means, as an incentive for the use of electronic platforms. 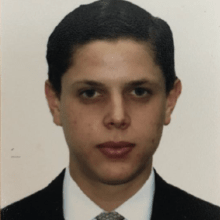 1 Luis Ignacio Gil Palacios is a junior associate at Escritorio Palacios, Ortega & Asociados. 2 Sistema Automatizado de Información Financiera (SAIF). 3 National Financial System Organic Law. Official Gazette No. 39,578, 21 December 2010. 4 Article 1, National Financial System Organic Law. 5 Banking Sector Institutions’ Decree-Law. Official Gazette No. 40,557, 8 December 2014. 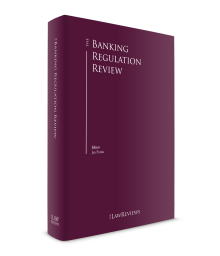 6 Articles 103 to 119, Banking Sector Institutions’ Decree-Law. 7 Article 153, Banking Sector Institutions’ Decree-Law. 8 Article 153, Banking Sector Institutions’ Decree-Law. 9 Article 155, Banking Sector Institutions’ Decree-Law. 10 Article 156, Banking Sector Institutions’ Decree-Law. 11 Libro Homenaje a la Academia de Ciencias Políticas. Caracas 2015. Rafael Martin Ponte. 12 Article 7.3, Banking Sector Institutions’ Decree-Law. 13 Article 176, Banking Sector Institutions’ Decree-Law. 14 As set forth under Title X, Articles 185 to 229 of the Banking Law. 15 Article 6, Banking Sector Institutions’ Decree-Law. 16 Article 33, Banking Sector Institutions’ Decree-Law. Articles 30 to 34, Chapter II – Of the Board of Directors. 17 Article 3: ‘Private sector bank’ means those that have a licence to perform financial intermediation, whereas public sector bank’s share capital is owned by the state (Bolivarian Republic of Venezuela). 18 Articles 30.3 and 30.10, Banking Sector Institutions’ Decree-Law. 19 Articles 11 and 12, Banking Sector Institutions’ Decree-Law. 20 Article 16, Banking Sector Institutions’ Decree-Law. 21 Article 35, Banking Sector Institutions’ Decree-Law. 22 Article 20, Banking Sector Institutions’ Decree-Law. 23 Article 21, Banking Sector Institutions’ Decree-Law. 24 Article 40, Banking Sector Institutions’ Decree-Law. 25 Article 41, Banking Sector Institutions’ Decree-Law. 26 Article 40, Banking Sector Institutions’ Decree-Law. 27 Article 48, Banking Sector Institutions’ Decree-Law. 28 Article 49, Banking Sector Institutions’ Decree-Law. 29 Article 240, Banking Sector Institutions’ Decree-Law. 30 Article 245, Banking Sector Institutions’ Decree-Law. 31 Article 246, Banking Sector Institutions’ Decree-Law. 32 Article 179, Banking Sector Institutions’ Decree-Law. 33 Article 181, Banking Sector Institutions’ Decree-Law. 34 Article 183, Banking Sector Institutions’ Decree-Law. 35 Article 242, Banking Sector Institutions’ Decree-Law. 36 Article 243, Banking Sector Institutions’ Decree-Law. 37 Article 252, Banking Sector Institutions’ Decree-Law. 38 Article 69, Banking Sector Institutions’ Decree-Law. 39 Article 86, Banking Sector Institutions’ Decree-Law. 40 Article 5, Banking Sector Institutions’ Decree-Law. 41 Article 38, Banking Sector Institutions’ Decree-Law. 42 Article 39, Banking Sector Institutions’ Decree-Law.